- 02L0769 Spill Shield Includes Asm Index 3-16 and 3-17. -3 10J1588 Flipper Cover (iron gray) (Modesl TG4, TG8, and TG9 only), Includes Rollers (Asm Index 4-4) and roller shafts (Asm Index 4-5) See Assembly 9 for the DI Lower Forms Entry Cover for Model TG3 only. 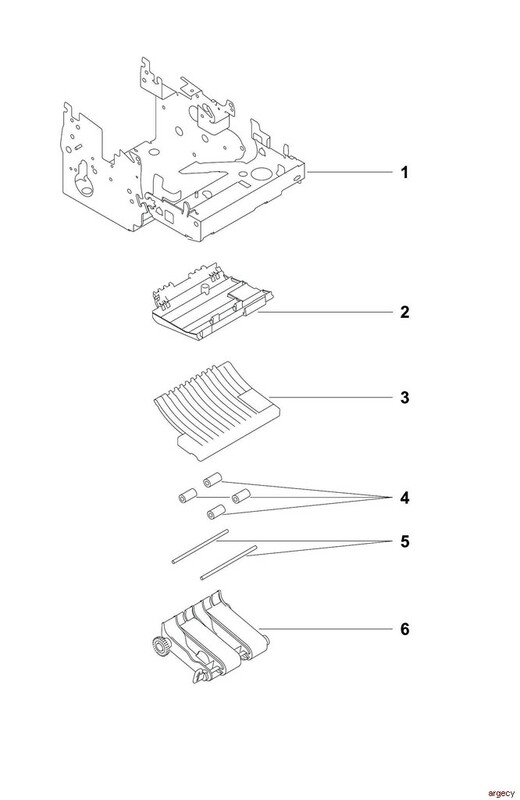 5-1 42H1056 Kit, Cables, Thermal Printhead (Models TI1 and TI2) Includes Both Cables, Cable Tie, and Spiral Wrap. -2 42H1137 Hinge Includes Asm Index 5-4, 5-5, and 5-6. 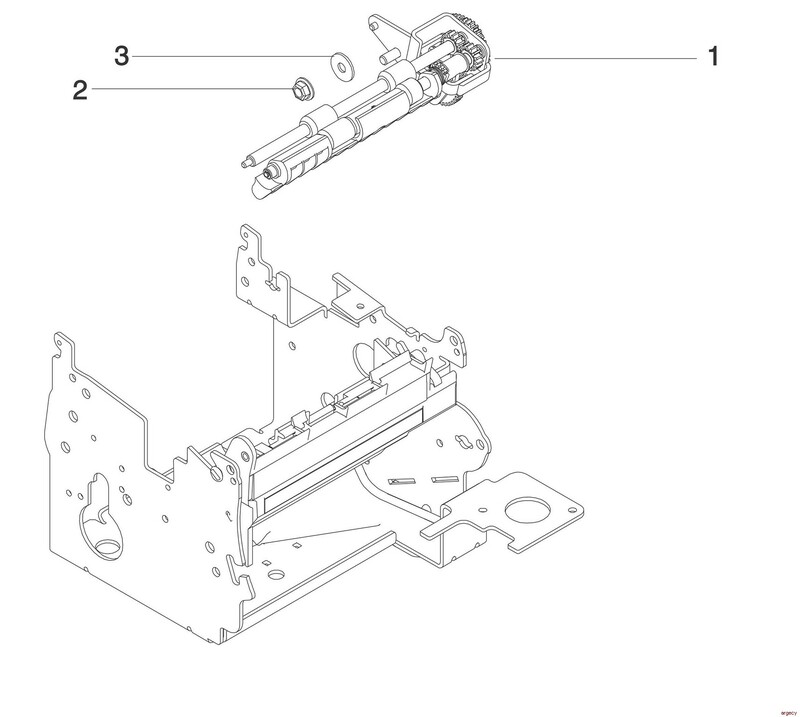 -3 42H1122 Thermal Printhead Assembly (Models TI1 and TI2) Includes Asm Index 5-4, 5-5, 5-6, 5-11, and additional non-illustrated parts. -7 42H1180 Cover, Thermal Printhead Includes Label. -9 42H1128 Sensor, Thermal Paper Includes Screws and Mounting Bracket. -10 42H1114 Ribbon Drive Asm. -2 NP Screws (2X) Part of Hardware Kit, 42H1063, Miscellaneous Fasteners. 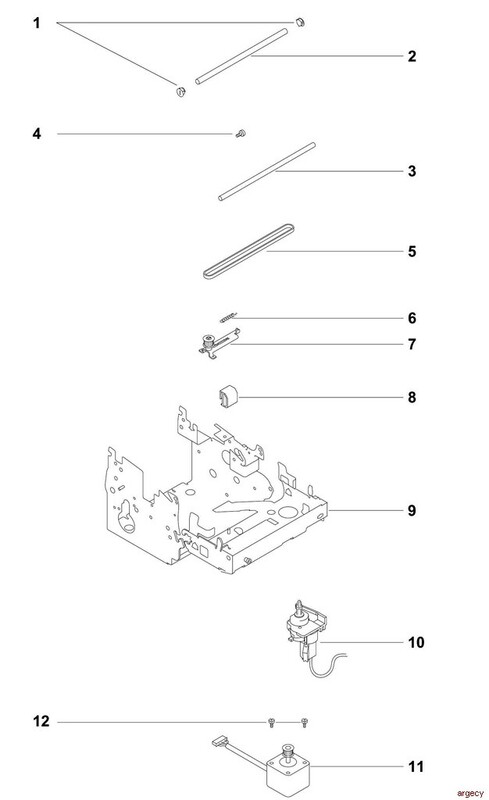 -9 NP Screw Also part of Hardware Kit, 42H1063, Miscellaneous Fasteners. 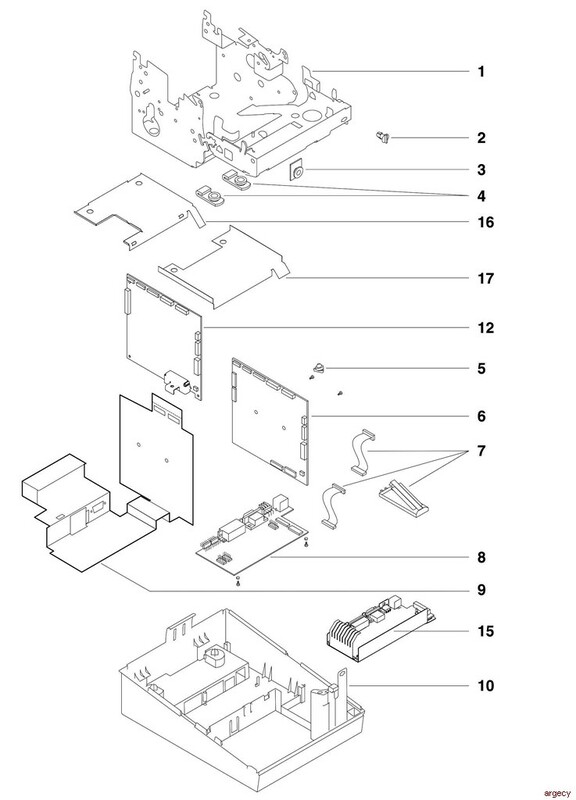 8- 42H1062 Platen Asm, DI Station (all models except TI8, TI9, TG8, TI9) Includes Asm Index 8-1, 8-2, 8-3, 8-4, and 8-5. - 42H1052 DI Sensor Asm. - 42H1057 DI Feedroller Asm. (Model TI2, TI4, and TG4 only) Includes Asm Index 9-4, 9-5, and 9-6. - 42H1119 DI Feedroller Asm. (Model TI1, TI3, TI8, TG3, and TG8 only) Includes Asm Index 9-7, 9-8, and 9-9. - 54P1791 Powered Flipper Transport (pearl white) (Model TI8 only) Includes Asm Index 9-12 through 9-16. - 54P1792 Powered Flipper Transport iron gray) (Model TG8 only) Includes Asm Index 9-12 through 9-16. 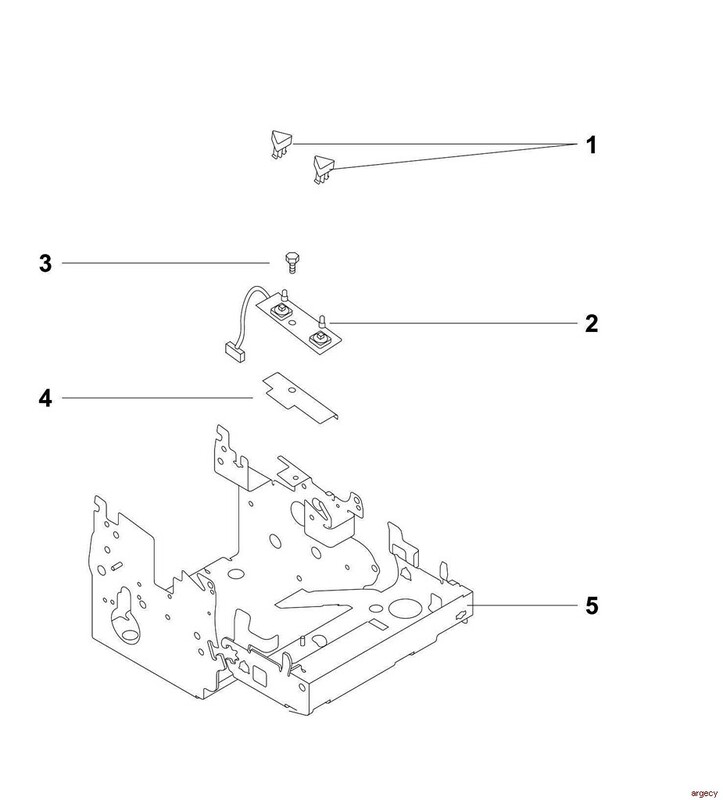 -14 NP E-Clip (2x) Part of Hardware Kit, 42H1063, Miscellaneous Fasteners. - 42H1134 DI Lower Forms Entry (Model TI1 and TI3 Only) (pearl white) Includes Asm Index 9-17, 9-18, and 9-19. - 10J1579 DI Lower Forms Entry (Model TG3 Only) (iron gray) Includes Asm Index 9-17, 9-18, and 9-19. 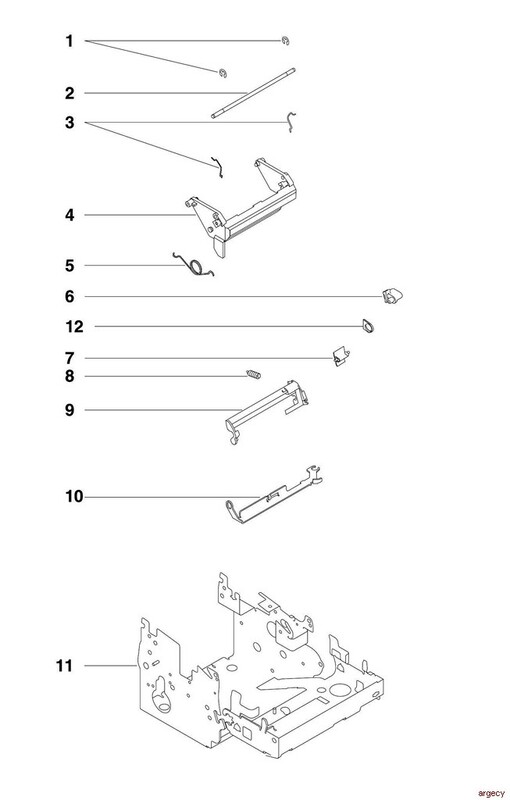 -18 NP E-Clip (2x) Part of Hardware Kit, 42H1063, Miscellaneous Fasteners. 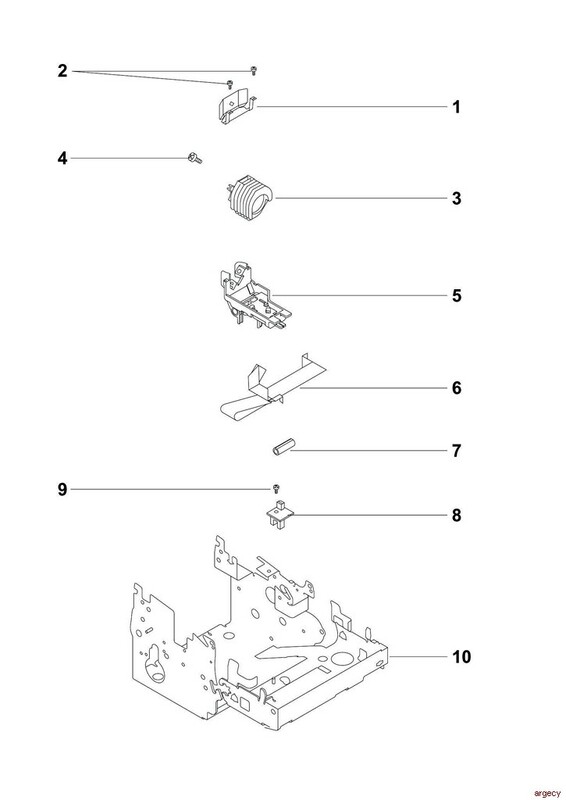 - NP E-clip Part of Hardware Kit, 42H1063, Miscellaneous Fasteners. 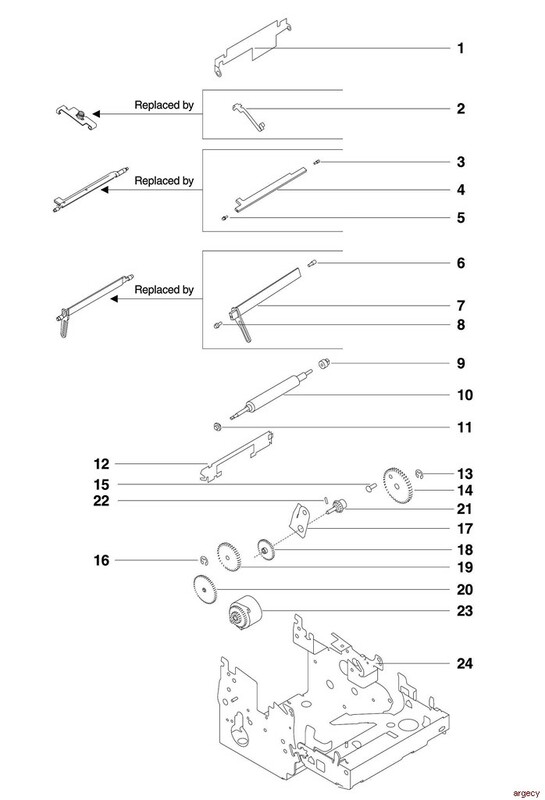 - NP E-clip Stationary Blade Part of Hardware Kit, 42H1063, Miscellaneous Fasteners. 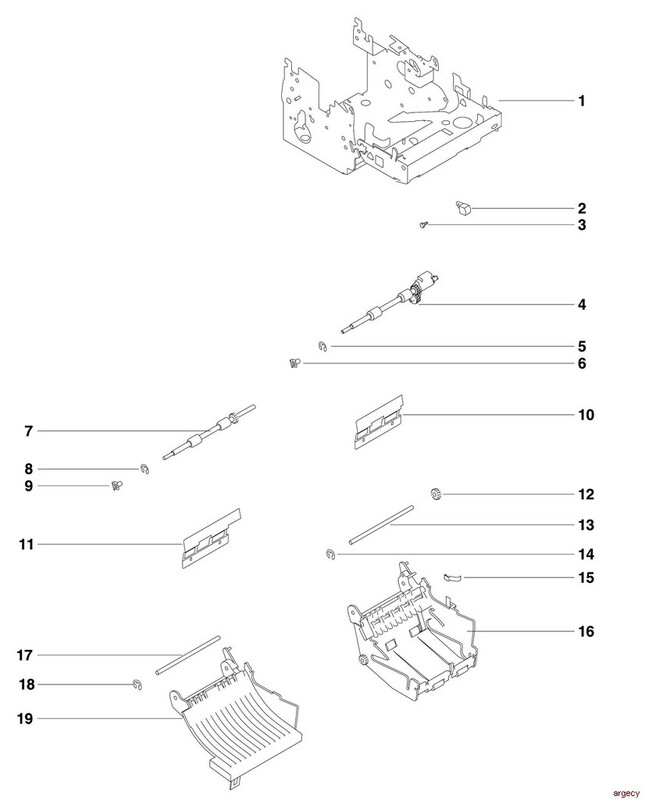 - 42H1123 Platen Asm, Thermal (Models TI1 and TI2) Includes Asm Index 11-9, 11-10, and 11-11. - 30L6443 Platen Asm, Thermal (Models TI3, TI4, TI8, TI9, TG3, TG4, TG8 and TG9) Includes Asm Index 11-9, 11-10, and 11-11. 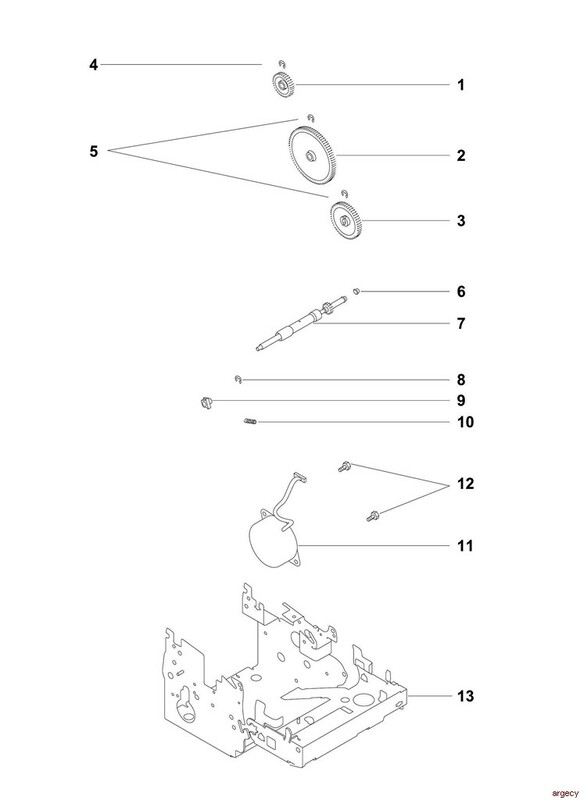 - 42H1060 Kit, CR Cutter Gears Includes Asm Index 11-13, 11-14, 11-15, 11-16, 11-17, 11-18, 11-19, and 11-20. 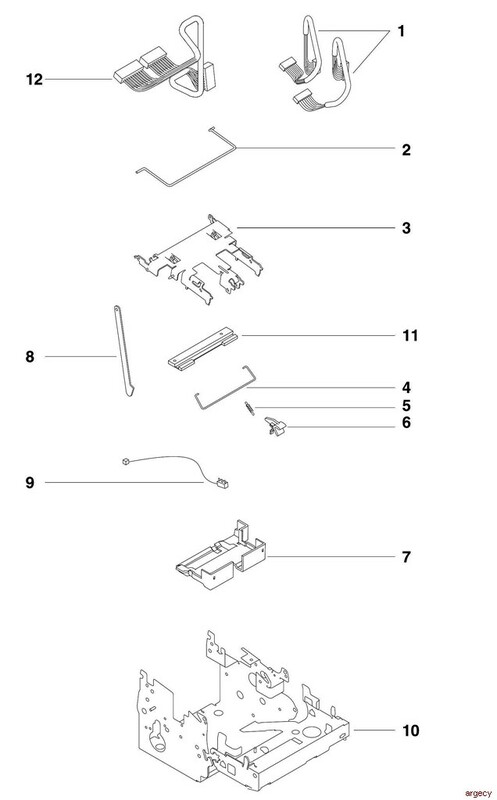 -13 NP E-Clip Part of Hardware Kit, 42H1063, Miscellaneous Fasteners. 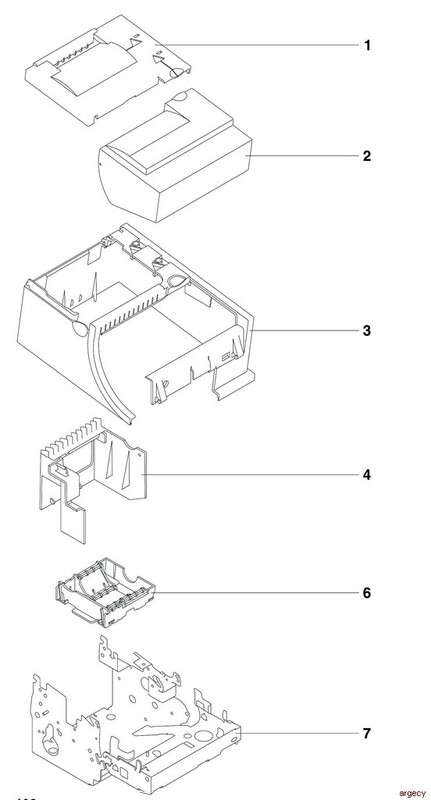 -16 NP E-Clip Part of Hardware Kit, 42H1063, Miscellaneous Fasteners. -21 42H1130 Clutch Asm, Cutter (Models TI1 and TI2) Includes Spiral Pin (Asm Index 11-22). -21 30L6445 Clutch Asm, Cutter (Models TI3, TI4, TI8, TI9, TG3, TG4, TG8, and TG9) Includes Spiral Pin (Asm Index 11-22). – 42H1143 Cables, Logic Card (Models TI1, TI2 only) Includes Signal Cable, Power Cable, and Cable Clamp. – 42H1056 Cables, Thermal Printhead (Models TI1, TI2 only) Includes Both Cables, Cable Tie, and Spiral Wrap.